To make living more comfortable, planning a better living went on to form the basis of architecture. From the Indus Valley Civilization, Indians have always pioneered in architecture and planning. From the intricate designing to creating the giant skyscrapers, they have always mastered the skill. Indian architecture has always been the envy of the world. 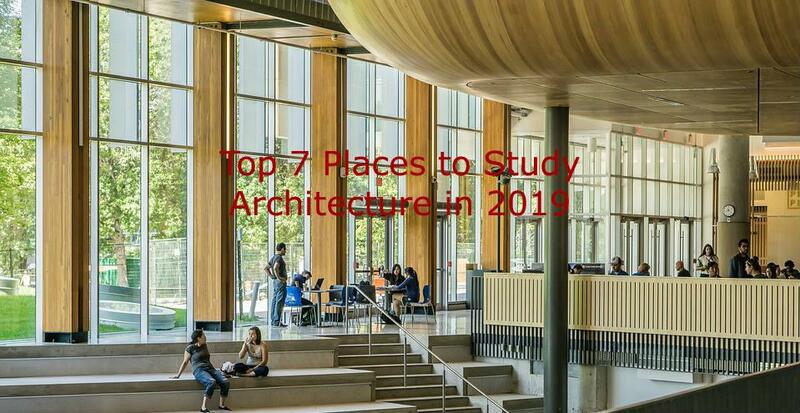 So, here is the list of top 7 best architecture colleges in Ahmedabad, Delhi, Mumbai and so on. With more than 1000 students who are pursuing their degree in architecture and planning, School of Planning and Architecture is one of the best architectural colleges in the country. the institute provides excellent infrastructure to the students. Moreover, the institute has planned to set up new campuses in Delhi. The major part of the funding of the college comes from the alumni who are well settled in different parts of the world. Indian Institute of Technology, Kharagpur is known for offering engineering courses, however, it also caters to the students who are interested in architecture by providing them with the architecture course. The course focuses on taking the students to various architectural marvels across the country where the students are exposed to the beauty of the world and learn the different learning approach to apply in the classroom later. Sir J. J. College of Architecture holds the third position when it comes to talking about the top-notch architecture colleges of India. The college was established in the pre-independence era and from that time they are providing the best education to the students. The institute has always ensured that creativity remains in the pinnacle of learning. Birla Institute of Technology, Mesra is another renowned colleges of India that offer architecture course. The five-year architecture course at BITS Mesra is known for consistently excelling in terms of placements. Moreover, this college also offers a post graduation degree. The courses are quite appreciated by the Institute of Town Planners, India and thus the students who pass out from this college land up with some of the best jobs. The Jadavpur University which is located at Kolkata has expertise in the field of Architectural Design Theory, Architectural, and Landscape Architecture. The students who graduate from this college get a chance to take up blue collared jobs or work with professional consultancy firms. With more than 50-year-old legacy, the faculty has stood tall. Chandigarh College Of Architecture was established in the year 1961 under the Punjab University. This institute has a number of distinguished alumni to its credit. Baburam Bhattarai, the 35th Prime Minister of Nepal was one of them. The college not only focuses on classroom teaching that happens on the premises of this institute, but they also focus on all around the development of the students. Jamia Milia Islamia University is the only central university to offer a complete course in architecture. The focus of the team at this University trains the student to develop social concern through innovation. The department offers two-degree courses in architecture and five master's course. Moreover, they also offer Ph.D. programs in architecture.